In the recent past frauds in distance education has been increased significantly. As an admin of a distance education blog it is my duty to inform you how you can prevent yourself becoming the next victim of distance education. UGC has already issued a notification stating that from the session 2014-2015 no degree course offered by any institute will be valid if it is affiliated to a university outside the state. 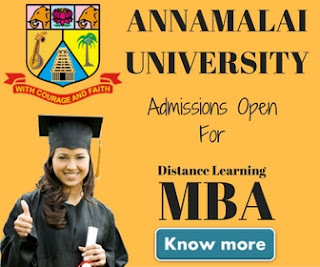 That means if you lives in the state of Maharashtra, you can not join a course offered by a University located in Tamil Nadu or any other state outside Maharashtra. So if you're planning to take admission into any of the distance education course, you must confirm that the university you're going to choose should be from your own state. Don't join any course through any institution which is being offered by a University located outside your state. We've also seen that Institutes are offering B.Tech courses through distance learning. Be aware, No B.Tech course through distance education is valid. In 2009 B.Tech through correspondence was banned completely in India. If you would like to join an engineering program, join it through regular mode. MBA in Interior Designing, M.Sc in fashion communications, B.Sc in Airlines & Hospitality may look attractive at first but in reality they are not approved through distance education council or UGC. 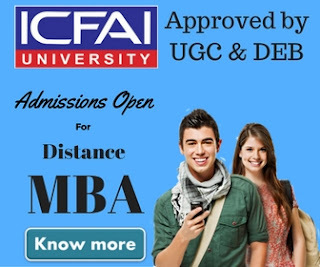 It is highly advisable you should go to UGC, DEC, or DEB website to check about all the approved programs through distance education before you take an admission. Although it has been a long time since UGC issued the statement that no distance education University will be allowed to offer courses outside its territory but still it is look like people don't have any awareness about this. Institutes are still offering courses affiliated to a university outside their state and students are taking admission without even having an idea that how bad it could be for their future. Recently a famous fashion institute in Delhi, which was offering degree courses affiliated to a university located in Karnataka has been barred offering distance education courses from that University. The University write a letter to the institute mentioning that they're restricting themselves from offering any distance education courses outside Karnataka and the Institute is required to immediately stop offering any course offered by the University. In near future we may seen many other such cases so it is my advise to all the students to not to take any admission into a course offered by a University which is not located in your state.